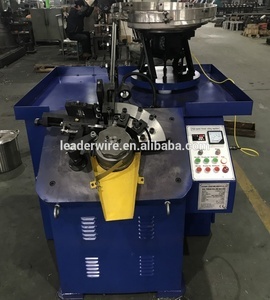 Factory sale nail thread roller from China Product Application The features of the machine: adopting electromagnetism vibration feeder system, equipping automatic control feeder,adopting synchronism pushing device, main electromotor adopts speed control one, be easy to adjust productivity according to requirement, clean working environment. 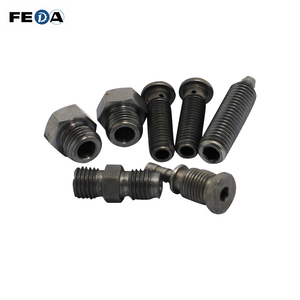 With reasonable structure, easy operation and safe action, it is used in the process of straight screw thread with different diameter and length and all kinds of special form nails. 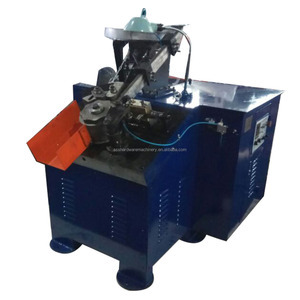 Nail Length 100mm Motor Power 5.5KW Weight 1500KGS Detailed Images Machine Parts Name: Details Brand: SSS Original: China Main Features Name: Product upgrade Brand: SSS Original: China After upgrade, easier operation, Increase in production capacity. We are supported by seven branch work plants to ensure our good quality and prompt delivery. You can totally rest assured of our guaranteed quality and our good after-sales service. We are looking forward to cooperating with you soon based on our all-time guaranteed quality,our best price and our best service! 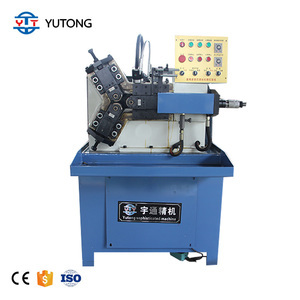 Xingtai Penghao Machinery Manufacturing Co., Ltd.
Xingtai Yutong Machinery Manufacturing Co., Ltd.
Hebei Moto Machinery Trade Co., Ltd.
Automatic Nail Thread Roller manufacturer Product Application The features of the machine: adopting electromagnetism vibration feeder system, equipping automatic control feeder,adopting synchronism pushing device, main electromotor adopts speed control one, be easy to adjust productivity according to requirement, clean working environment. 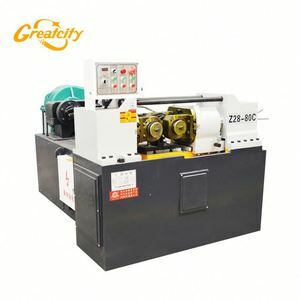 With reasonable structure, easy operation and safe action, it is used in the process of straight screw thread with different diameter and length and all kinds of special form nails. 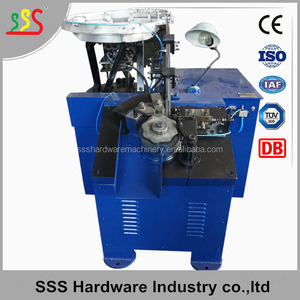 Nail Length 100mm Motor Power 5.5KW Weight 1500KGS Detailed Images Machine Parts Name: Details Brand: SSS Original: China Main Features Name: Product upgrade Brand: SSS Original: China After upgrade, easier operation, Increase in production capacity. Wei Feng (Tianjin) International Trading Co., Ltd.
Shanghai Baily Metal Products Co., Ltd.
Zhengzhou Inber Machinery Co., Ltd.
Zhengzhou Delta Machinery Co., Ltd.
Taizhou Zhongyu Thread Rolling Tools Co., Ltd.
Alibaba.com offers 119 nail thread roller products. About 74% of these are thread rolling machines. A wide variety of nail thread roller options are available to you, such as free samples. 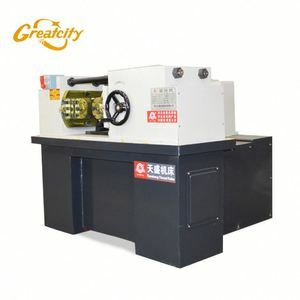 There are 119 nail thread roller suppliers, mainly located in Asia. 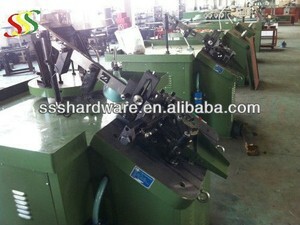 The top supplying country is China (Mainland), which supply 100% of nail thread roller respectively. 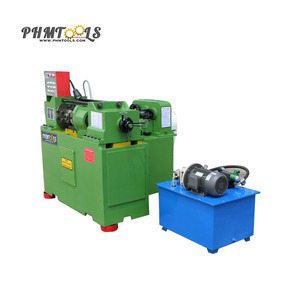 Nail thread roller products are most popular in Domestic Market, Central America, and Eastern Asia. You can ensure product safety by selecting from certified suppliers, including 15 with ISO9001, 2 with Other certification.